Typically called mudbugs, crawdaddy's, crawdads and crawfish, our native crayfish are usually diminutive in size. Not so in the case of the Australian redclaw crayfish that are cultured, grown, and sold here at Stick-Fins Fish Farm. 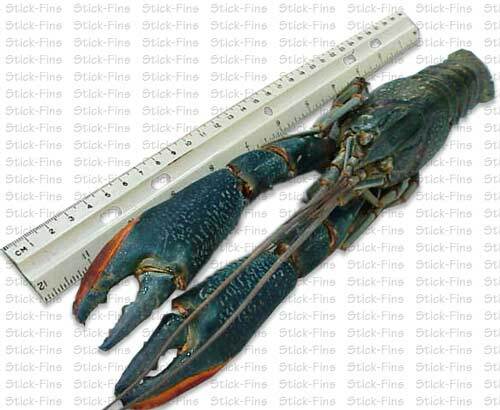 The redclaw grows so large it is sometimes referred to as fresh water lobster. Tipping in at a delicious 1/4 to 1/3 pounds and up to 8 inches in length, our redclaw crayfish are quickly becoming the fresh water fishery crustacean of choice. Redclaw crawfish are also used in nerve research studies. Please enjoy our website and feel free to contact Stick-Fins Fish Farm for more information.